It’s now two years since I took the first step on the road to starting the journey to setting up my own business. To mark the occasion, I found myself sitting in an ice cream shop filming a piece to encourage others to enter the competition where it all began. It feels like just yesterday (it feels like yesterday I bought my first Writers’ and Artists’ Yearbook, mind and that was 13 years ago!). It’s a reminder how quickly our status in the world we make our home can change, a reminder of how we needed others to guide us in our first steps, a reminder to do the same now we’ve knocked around a bit. Indieland is particularly good at this. The past couple of weeks, the news has been dominated by copyright. That’s always a controversial topic in itself. But nothing like as controversial as the subject of what happens when copyright is deliberately and in the most blatant way, infringed: piracy. The UK’s Society of Authors has written an open letter to the government, asking it to take greater action against piracy. Specifically, the letter links a number of high profile piracy sites and the fall in author earnings rates. Bookbub’s blog always has interesting information. This week’s report on bestselling trends is decidedly newsworthy. This is an exploration of which genres and themes sell best in BookBub’s promotions. Romance is, not surprisingly, strongly present. But there are insights into non-fiction, too. True crime is popular, but the breakout genre appears to be detailed popular science. Interestingly, thrillers don’t get a look in. 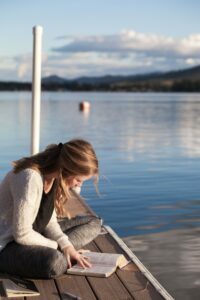 One of the ALLi campaigns about which I am most passionate is Opening Up to Indie Authors. The thing I have been waiting for with greatest anticipation is the day an indie book wins a major literary award. The day we get to sit at the top table in the critics’ eyes as well as for our sales. This week saw another small breakthrough. For the first time, a book published through Unbound was shortlisted for the Folio Prize. The Folio is a controversial award, set up by what many consider snobs when the Booker was perceived to be lowering its tone. (Unbound had an early shortlist success with the Booker). But no one can deny its critical seriousness. 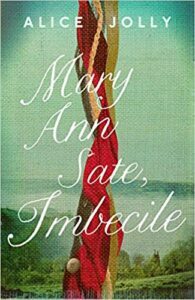 So the shortlisting of Mary Ann Sate, Imbecile by Alice Jolly is a real positive step. New figures illustrate the extent of the rise of Storytel. 65,000 new subscribers in 2019’s Q1 brought their total to 834,700. Growth against forecast was much stronger outside the company’s home of Sweden. As Mark Williams points out, Storytel has never really gone head to head in a market with Audible. That is set to change later this year. Storytel and Audible will be doing battle in the German audiobook market from this summer. Amazon has had a rough week with the regulators. First, there was concern that the way they display products can mislead customers when it comes to rviews… Then there is the slow removal of Amazon’s own branded goods from customers’ searches. This is a move designed to keep the antitrust people happy. It’s particularly interesting because, of course, Amazon own brands are’t just about clothes and notebooks. There’s also the whole swathe of its publishing imprints that have increasingly, and controversially, come to dominate the charts. As yet these have not been affected, but watch this space. Meanwhile, the first Scribd Original title has been launched. This marks the subscription-pioneer’s breakthrough into producing original content. The book, Mueller’s War, is certainly topical.